For decades when doing a Maryland property search, Chevy Chase has been considered one of Washington’s premier suburbs. There're wooded streets, high priced homes, country clubs and lack of a commercial district have maintained this reputation for almost a century. In fact, many of Washington’s most prominent business leaders and politicians call the small area their home. In general when buyers look at houses for sale in Maryland they discover that Chevy Chase is divided into two sections: Chevy Chase DC and Chevy Chase MD, both located near the northwest corner of Washington between Bethesda and Silver Spring. Though the area does not have its own business hub, Bethesda and Friendship Heights stand within walking distance or a short drive, providing residents with access to hundreds of high end shops and restaurants. Matching its lack of commercial feel, Chevy Chase consistently ranks among the safest places in the DC region to live as the community even boasts its own police force. The prices of homes for sale in Chevy Chase MD are consistently among Metropolitan Washington’s most expensive. Though it is possible to find small one bedroom condos in the range of $300,000, most single family homes start above the $1 million mark. Educationally, Chevy Chase benefits from its location in Montgomery County with Bethesda-Chevy Chase High School consistently ranking among the nation’s best public schools. Furthermore, Chevy Chase’s convenient location makes it easy for residents to access Northwest Washington’s and Bethesda’s abundant private institutions. Educationally, Chevy Chase benefits from its location in Montgomery County with Bethesda-Chevy Chase High School consistently ranking among the nation’s best public schools. 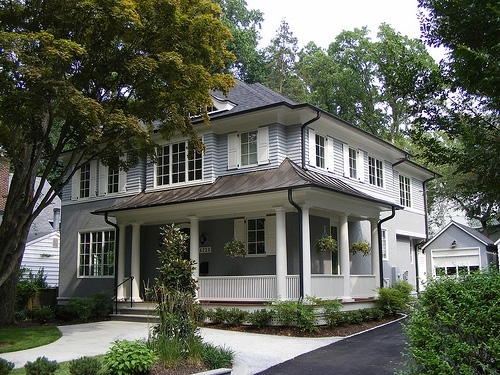 Furthermore our exclusive buyers agents believe that Chevy Chase’s convenient location makes it easy for residents to access Northwest Washington’s and Bethesda’s abundant private institutions.